The park is located in the city of San Juan Bautista, on Highway 156, 3 miles east of Highway 101, 7 miles west of Hollister. 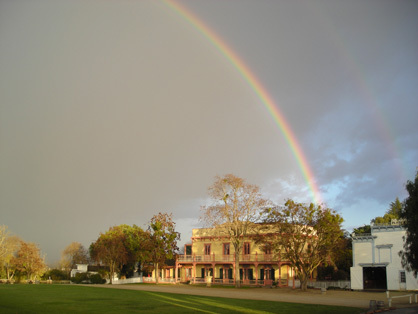 The park is part of a nationally recognized historic landmark adjacent to California's 15th Spanish era mission. 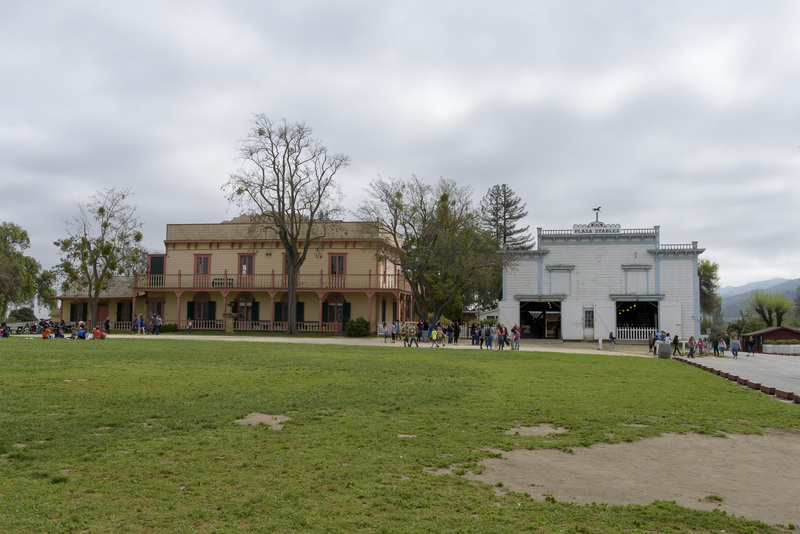 The park and its Plaza represent what was once the "town square" of the largest town in central California and a vital crossroad for travel between northern and southern California. 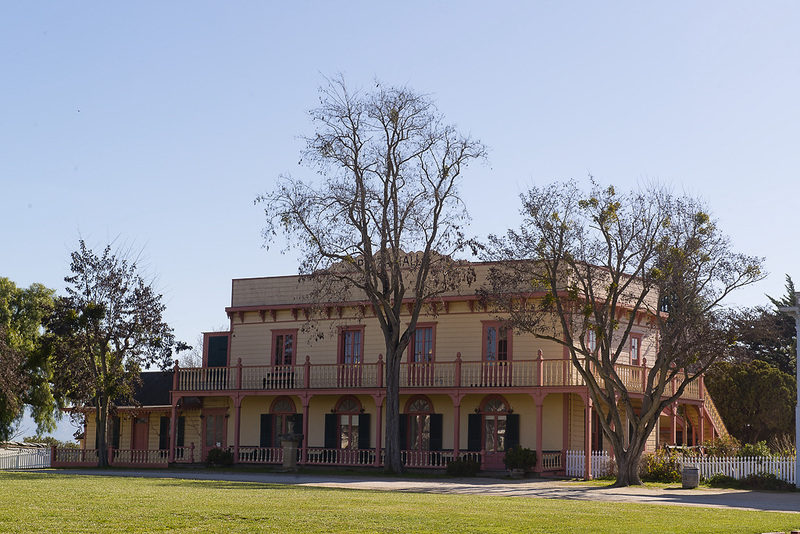 Visitors can gain an appreciation of California's people, from Native Americans through the Spanish and Mexican cultural influences, right up to the American period in the late 19th century. The park includes several structures built in the 1800s. 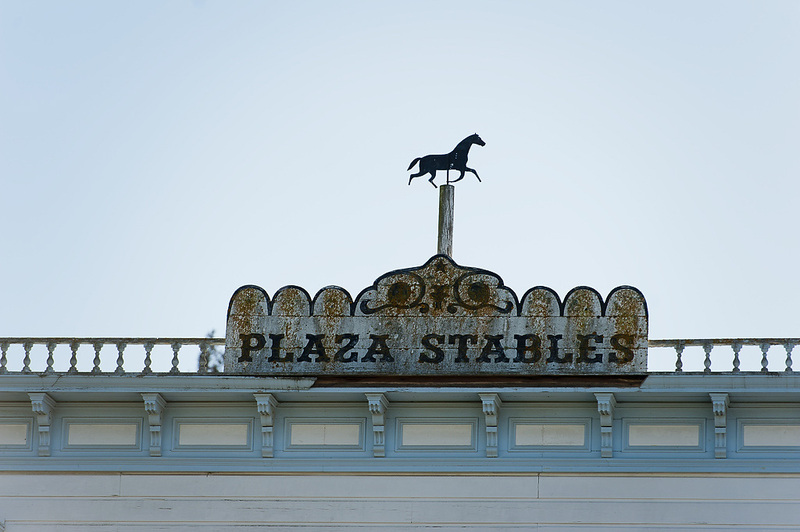 The four main historic museums are the Plaza Hotel, the Zanetta House/Plaza Hall, the Plaza Stables, and the Castro-Breen Adobe. Many of the interiors are furnished vignettes or colorful and informative exhibits that help create a unique learning environment for people of all ages. The park also features a blacksmith shop, the historic jail, and an early American settler’s cabin. The park is open daily for self guided visits and also offers guided walking tours by advanced reservation. Call 831-623-4881 for information. 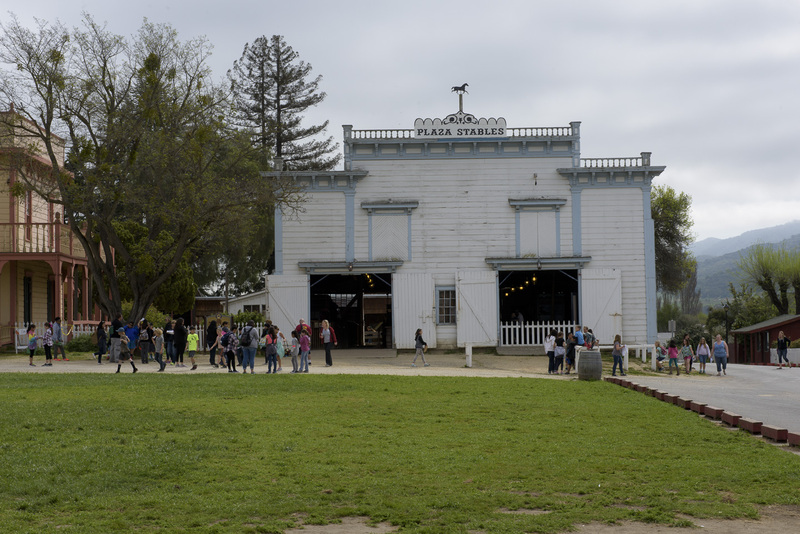 The park is located on Second Street, between Washington and Mariposa Streets in the city of San Juan Bautista, 3 miles east of Highway 101, 7 miles west of Hollister, 15 minutes south of Gilroy. From Hwy 101, go east on Highway 156, take a left at the light onto The Alameda; from Hollister or Pacheco Pass on 156 westbound, take a right at the same intersection. Landmarks: the Windmill Shopping Center. Interpreter led programs (Mission Game, California Overtime and Wagons West) cost $75.00 each. Days of the Vaqueros program costs $90. 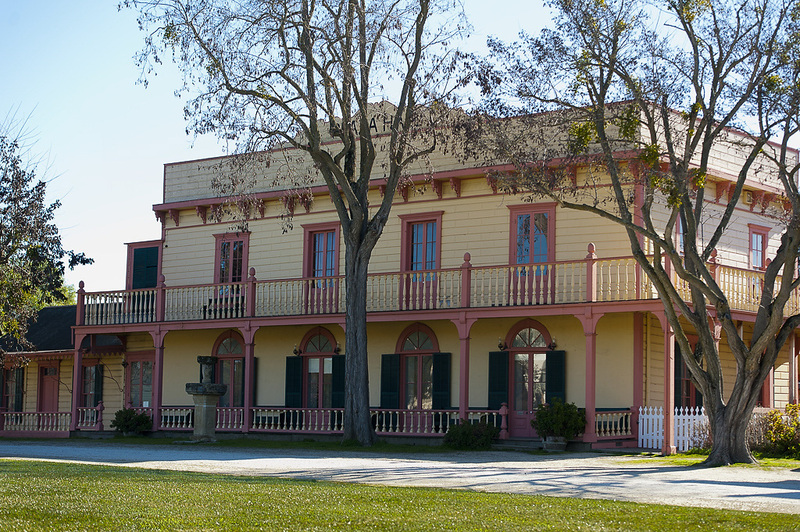 San Juan Bautista State Historic Park is proud to offer fourth grade curriculum based educational programs to enrich your class field trip. Programs are offered four times each day, Tuesday through Friday, with two programs conducted at 10:30 am and two at 12 noon. Call ReserveCalifonia (1-866-240-4655) to book a paid Interpreter-Led Program or a free Self-Guided Visit. After reserving a space with ReserveCalifonia, call the Interpreter’s office at (831) 623-2753 and arrange the program you prefer. Mission Game, $75 - the best program for fall visitors. The students learn about the local Native Americans, the Spanish way of life, and the layout of a typical mission. Using either wooden blocks or laminated cards, the children design a mission which creates an efficient architectural layout. California Overtime, $75 - the best program for an overview of California history. Students learn about the four main cultural groups living in California - the Native Americans, the Spanish, the Mexicans, and the Americans. The missions, ranchos, gold rush, and pioneer eras are covered. A few of the children will be chosen to place their faces in life-sized cardboard cutouts and “become” a person of the past. Wagons West, $75 - the best program for learning about covered wagon travel. The students are placed into groups and decide which items they will carry in shoe box sized “wagons”. A Wagon Master is chosen and the pioneers “head west”. Early travel methods are taught while the groups brainstorm overcoming hardships or enjoying good times. If the wagons don’t reach California by the end of the program, they have “busted”. Note: due to a lack of materials, only one Wagons West class can be conducted each program period. NEW! Days of the Vaqueros, $90 – Bien benidos, Vaqueros! The newest addition to the park’s programs. Discover Mexican-California and the Vaqueros in this hour-long trip into Alta California. 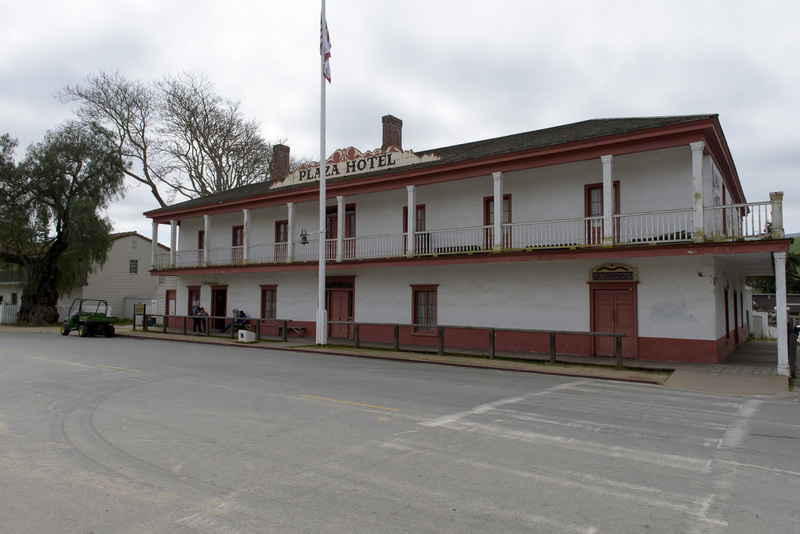 Students learn all about the people of Alta California and their unique culture, right where it happened. Students learn the difference between a Californio and a Vaquero. By the end of the program, students will know all about “Pueblos, Mexican-American War, and tortilla making! Which they get to eat! Spanish vocabulary included. Note: due to a lack of materials, only one “Days of the Vaqueros” program can be conducted per day at 12:00PM. Reservations to the Park DO NOT include the Mission, reservation at the Mission are made separately. Paid programs also include all day admission to the state park with no additional reservation required. Paid Interpreter Led programs require extra staff, failure to submit payment or last minute cancellations will result in an invoice to the school’s district. Programs and activities may be limited or changed by weather. A teacher must be present during all Interpreter Led programs. Can’t come to us? Call the state park and ask about Outreach Programs, (831) 623-2753. Would you like to learn about the history and features of the Plaza Hotel? Do you have a cell phone? While visiting the park, use your cell phone to dial into the recorded messages. Messages are recorded in English and Spanish.